Curious About Our Lawn Services? Why Choose The 409 Mowers For Your Yard? The 409 Mowers is a locally owned and operated lawn service company with experience since 2011. We specialize in residential and commercial lawn maintenance, hedge trimming, mulching, weedeating, and edging. Our team has earned a great reputation in The Golden Triangle for conveniently maintaining and reliably servicing our clients’ properties. Take stress out of the equation by letting us maintain your lawn with consistent schedules and reliable service. Remember to keep the hedges and bushes well groomed. If needed we can tackle that problem on a regular basis. Do the flowerbeds need some attention? We can clear them of unwanted weeds and keep an eye out for you. At certain times it’s necessary to do some cleaning around the yard. We’re happy to come remove unwanted leaves. We enjoy reading our reviews, we thought you might too. How god are these guys? They thought my dog might be limping so they contacted me about it after they finished my yard. AWESOME service with a smile. Good communication and do good work. Will use again. Everything looked great. Very professional workers and they were also done quickly. Awesome company! Thank you so much for your prompt and excellent lawn care. I have already recommended your service to my friends. Yard looks much better since 409 took over. We are pleased with the service. Among the many other positives about 409 is their workstaff. Every one of their employees is the type of kid you do not mind having around your house. The young men (and a young lady) are all plus-plus kids from good families who are trustworthy. If I have a yard concern what is the best way to get in touch? One of the ways we're able to set ourselves apart from the lawn care crowd is by staying in touch with our clients. Oddly enough this is one of the major issues with many service businesses. Clients tend to like using our Facebook Page and evaluation emails that are sent after every service in order to make sure your lawn is always up to standard. You may also call, email, or use the client portal to get in touch. It's our policy to always close gates even if they are left open when we arrive. We ask that gates be unlocked and easily accessible before we arrive on our service day. If we are unable to access the property (typically due to locked gates or wet areas) we will complete whatever remains possible and return during our next scheduled appointment. 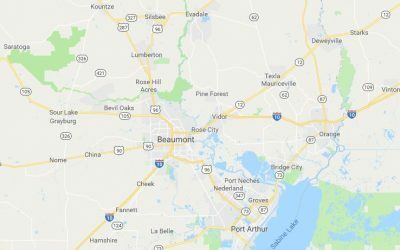 How much does lawn care maintenance cost in Southeast Texas? There's certainly a wide range of lawn services to choose from. A company's price often depends on how much time and money they're willing to invest in areas such as insurance, employee training, equipment, communication, convenience, schedule consistency, and service quality. Each of these can vary greatly from company to company. Also, ask if their service is focused on residential or commercial customers. 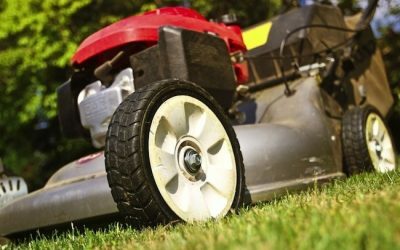 While it's normal for lawn services to have both it's also likely they will be better suited for the type of customer their business is made for. Check around and see what fits you best. Prices for our lawn service depend mainly on the square footage of the property and start at $35 for the smallest yards. If you'd like an idea of what our service would cost for you please fill out the quote form on the website or give us a call! Yes! We are insured with $300,000 of coverage. There are bad stories out there of services that cause damage and are never to be seen again. Take one more problem off your mind knowing that we come prepared. What height will you mow my grass? After a bit of research, it seems that 3 inches is a good height to mow our lawns. In our part of the country it's best not to scalp the grass and instead let it grow out some. This helps keep our yards green during the hot summer months. It's also not tall enough to look unkept and we have been pleased with the results so far. Do you maintain flower beds? Yes, but this is not part of the lawn service package. Anything that has a border around it and typically containing plants is considered a bed and therefore not part of the lawn. Get in touch so we can come by and quote your flower beds. How many people will be working on my yard? It's rare that we will have more than one or two people servicing a lawn at the same time. Do I need to be at home when my yard is mowed? Nope! It's all up to you. The vast majority of times we are mowing yards we do not need to interact with the client. If there is a situation where we have to get in touch we can always give you a call or send a message. What if my yard if overgrown? When we initially service a yard that has not have received proper attention, we find that the lawn, hedges, and driveway borders may require extra time. If this is the case there will be an additional cost for the first visit. Typically this means an extra 50% charge but will depend on the severity. Do you mow after it rains? There are a few variables at play here. We try to stick to our schedule as much as possible. In the event of heavy rain we will most likely skip mowing, however, if delays persist over an extended period of time we may service your lawn while still wet. At a certain point, the grass growth simply outweighs the temporary dirt tracks the mower may cause. We attempt to make the best decision for your lawn depending on the scenario. What happens if something of mine is damaged? If we have damaged your property please get in touch with us as soon as possible so we can be of more help to you. How often do you make visits? If your lawn is like most in Southeast Texas then your grass grows quite fast during the summer months. If yards are not mowed on a weekly basis issues such as grass clumps, over-stressed grass due to cutting over 1/3 of its length, and large amounts of clippings can occur. During warm months we will visit weekly, then in cold months we switch to biweekly/monthly visits. Bad weather is the most typical type of delay we encounter. It's not uncommon for us to mow during light rain. If the current weather or forecast looks unsafe we will likely have to delay service and send out an email notice. If you have pets please let us know. While we are cautious about not letting anything out when we enter and closing the gate behind us, it's always best to leave pets inside on your scheduled service day. Please remember to pick up all toys, extension cords, hoses, pet droppings, rocks, etc. the day before we mow. These objects are capable of causing damage to your property and our crew members. When do I get billed and how do I pay? At the end of each workday invoices are created and are made available to view in the client portal. 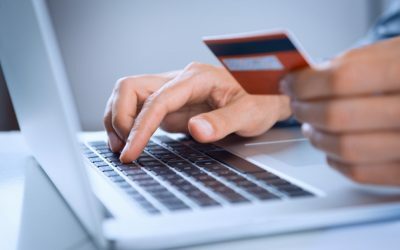 Credit/Debit cards are processed next and your payment history is also viewable in the portal. It's not because we try to skip things. All of our equipment is commercial grade allowing us to use our machines at a faster pace. We also tend to get better times after the first few visits and learning the routine. Can I choose my mow day? There are set days for each of our routes. If your home is near another route we can see if it's possible to switch over.